DirecTV Now had a bad fourth quarter but still ended the year with healthy growth. Sling TV looks headed for a similar story. However, YouTube TV emerges as a potential market leader and the industry could be closing in on 10 million subscribers. AT&T has been grumbling about how DirecTV Now needs to be “right-sized” for some time now. It seems the company acted on that dissatisfaction in the fourth quarter. It ended promotions and raised prices on those enjoying discounted subscriptions, which prompted customers that weren’t engaged with the service to cancel. The company lost 267,000 DirecTV Now customers, though for the whole of 2018 it gained 436,000 to finish with 1.59million subscribers. In Q3, DirecTV Now had a small gain of 49,000 subscribers. DirecTV Now’s experience demonstrates the full impact of monthly subscriptions and a highly competitive market. Upset customers can leave immediately and have their pick of competing services. Dish Network will not report on its Q4 2018 until next month. It is liable to be ugly, with on-going blackouts of HBO and Univision. These disputes also affect Sling TV. Like DirecTV Now, Sling TV turned in unusually slow growth in Q3 2018, gaining just 26,000. It could be that subscriber gains will stall completely in Q4, leaving the service treading water at 2.3 million subscribers. Google has given no hint as to how many YouTube TV customers it has. However, it has spent lavishly to promote the service. It has also aggressively expanded the service’s reach. It can now reach 98% of the U.S. population with a service that contains at least some of a viewer’s local stations. 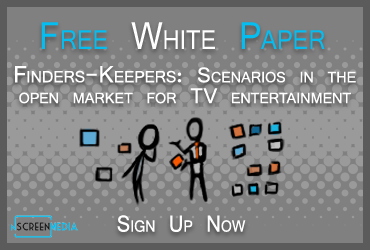 In many major markets, it can provide all the major four broadcast networks. It also has a very attractive $40 per month price and features like unlimited DVR recordings included. How many subscribers does the service have? In the recent TiVo Video Trends Report, the company says that roughly twice as many people say they use YouTube TV as use DirecTV Now. That suggests 3 million or so people have signed up for the service. However, TiVo’s data is not perfect. The same survey says that more people are using DirecTV Now than Sling TV, and we know that isn’t the case. Using Sling TV as a base suggests YouTube TV could have 5 million subscribers, not 3. However, it could be that some survey participants confused YouTube with YouTube TV. So, perhaps a safer estimate is the lower number. Adding all this up, we get a total of roughly 9.2 million vMVPD subscribers in the U.S.